It’s time for a new spirit in the bathroom: mixed with natural ethereal oils, the shaving cream Gentian works refreshing and revitalizing. 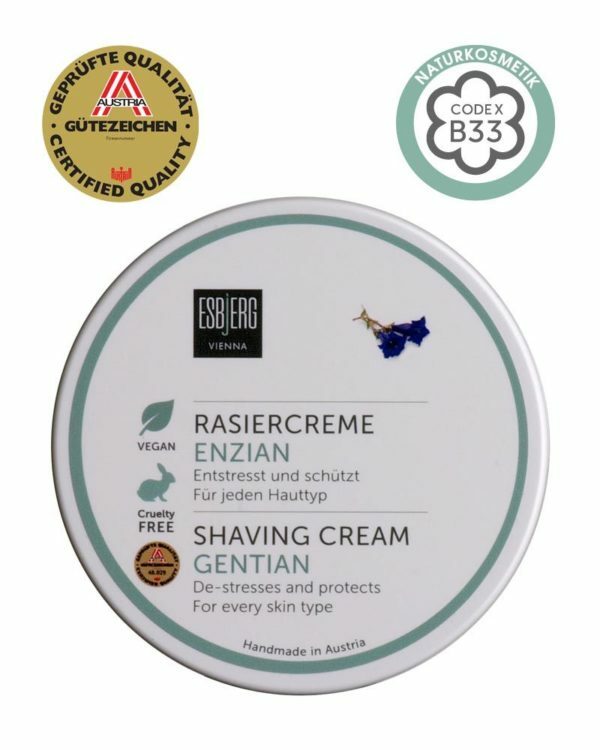 The natural scent of airy heights works balancing on the organism and the base texture is intensely caring, which comes as no surprise since the cream is part of ESBjERG’s exclusive shaving creams. 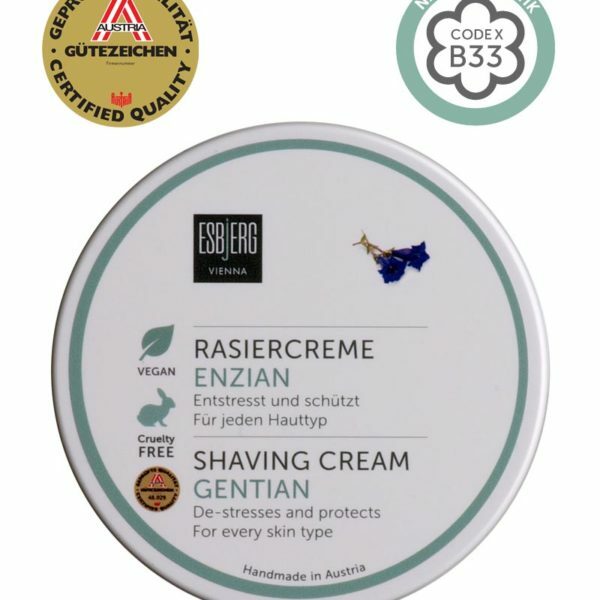 The shaving cream nourishes the skin with important minerals, natural plant extracts and vitamins. Perfect at lathering, the fine texture optimally prepares skin and hair for a thorough and smooth shave. Made in a traditional process by the saponification of stearin and produced in small batches of 70 pieces, every soap is hand-stirred and contains solely natural ingredients such as the biological oil of freshly-picked coconuts. These contain a high amount of lauric acid and work antibacterial but also antiviral. The extracts of rosemary and sage stimulate the blood circulation. Rice bran oil releases its anti-oxidative properties and marigold extract accelerates the wound healing. A stimulating mixture in the calming scent of gentian. For a unique shaving experience – and of course free of tensides.